Reykjavik – Amsterdam – Ghent – Berlin….? From May 11th thru 29th I am away from my studio-traveling throughout the Nederlands! Orders placed within my Etsy shop during this time will not ship until the week of my return! Visit this nano blog to stay updated on where I am, what I’m eating and experiencing! I will be cycling all over Holland, visiting the usual touristy spots, and traveling to Belgium to visit Ghent, maybe Brugge and perhaps hop a high speed train to Berlin! Picnics in Vondelpark, beer tasting, cheese eating and art viewing. 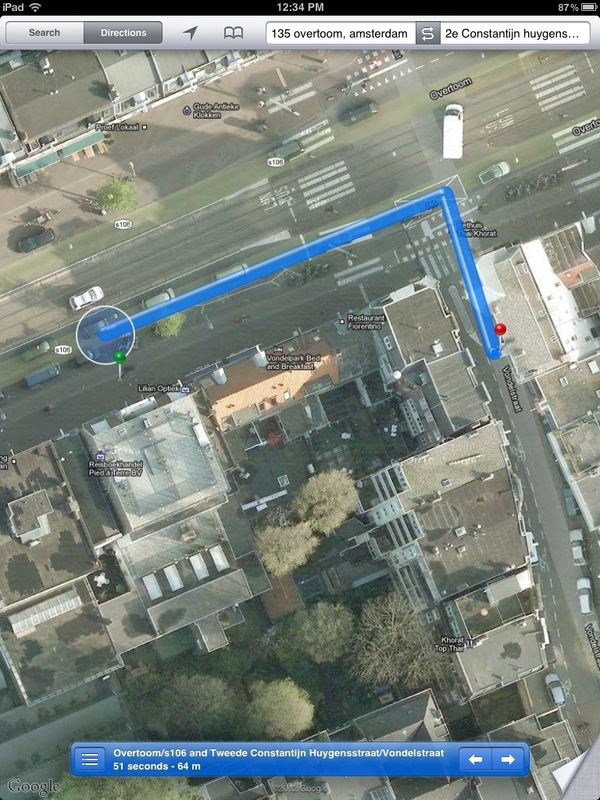 The map image shows (red dot) where I’m staying while in Amsterdam! The green dot is Europe’s largest map (bike) store! And just down the street past my red dot is Vondelpark !! All the best and have a wonderful time! Thank you for the link and information on Barbara Nanning’s exhibit!